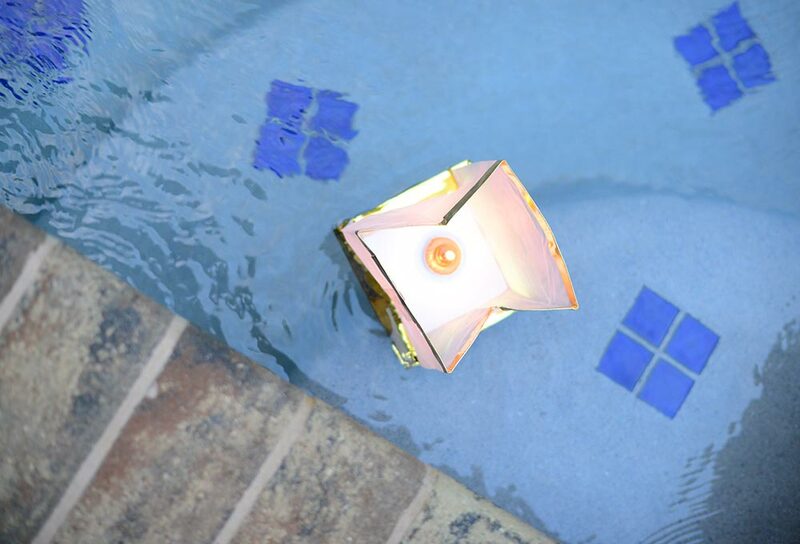 The pinnacle of backyard enjoyment. Earthadelic is fully qualified to design your master landscape plan, including where to locate your new swimming pool or spa. 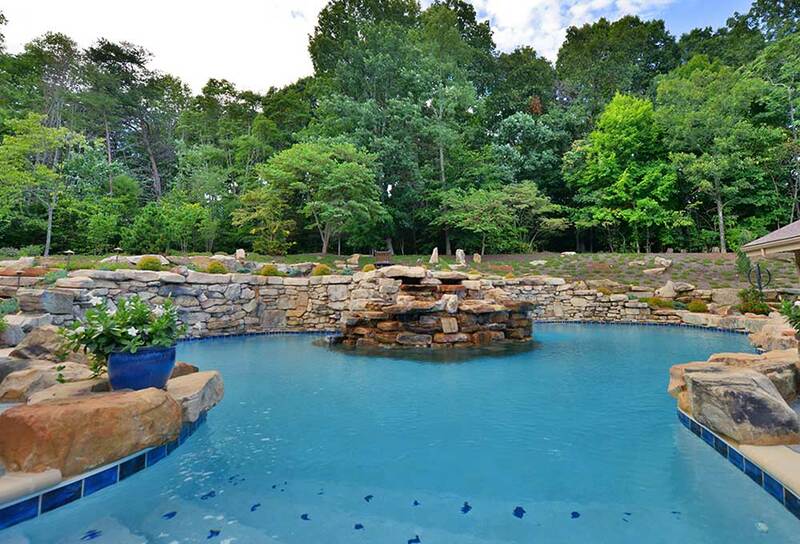 We’ll work with your pool builder or bring in our pool partner to construct it. Once it is installed, Earthadelic can take care of the rest, creating a masterful setting for your outdoor living space. 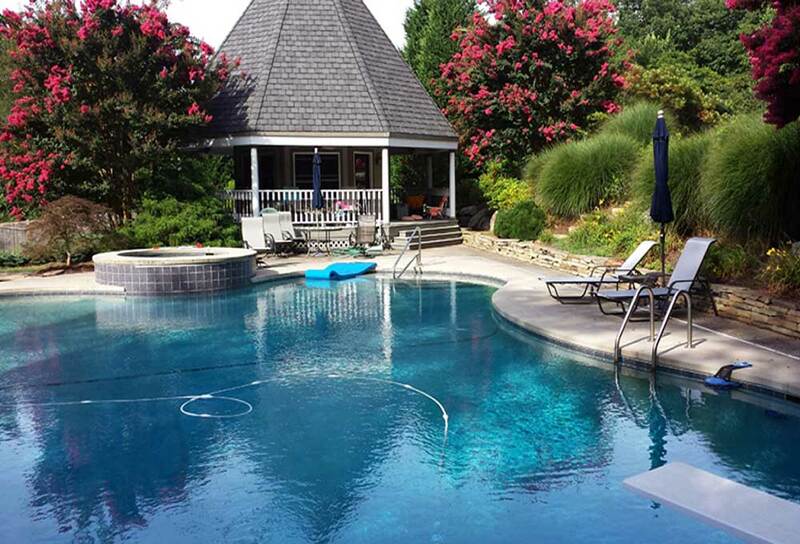 If you have an existing pool that needs renovation, we are experts in developing creative solutions that bring new life into aging pool decks. Using thin paver stone overlays, we transform your decks into an attractive hardscape that surrounds your swimming pool. And, we can frame it all with beautifully landscaped garden beds to welcome you and your guests year round. 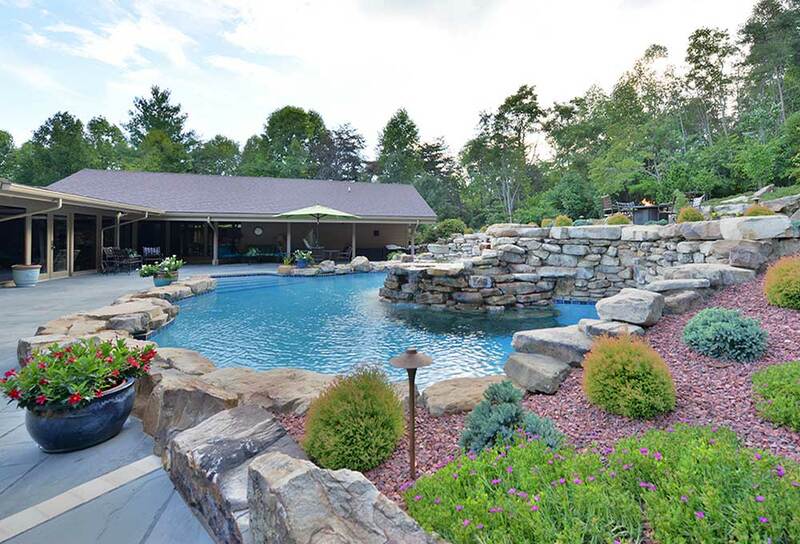 As a licensed contractor, we can also renovate your entire pool and restore an outdated pool deck surface, as well as build any outdoor accessory buildings to complement your pool’s design. 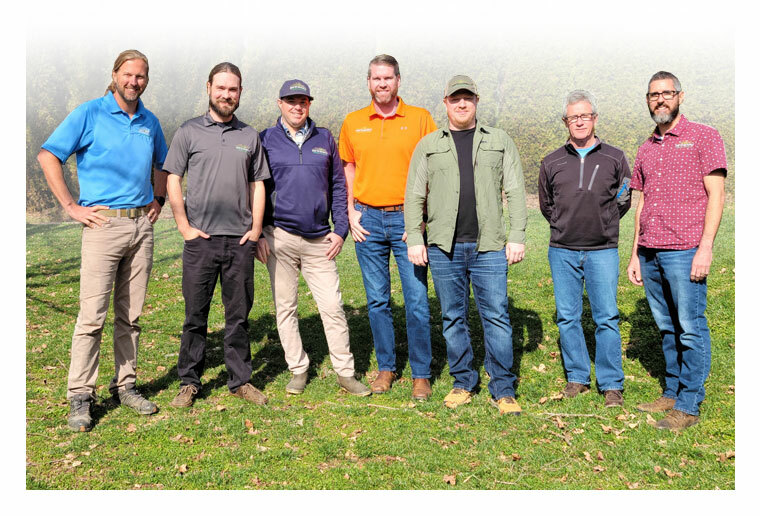 If you have a pool that is in serious need of renovation, call us and let our experts explain the many affordable options you have for a dramatic pool restoration. Many pools are now built with shallow lounge areas that serve as the perfect place to relax in the water and catch some rays. Seating can also be added to the edge in deeper water to maximize comfort. 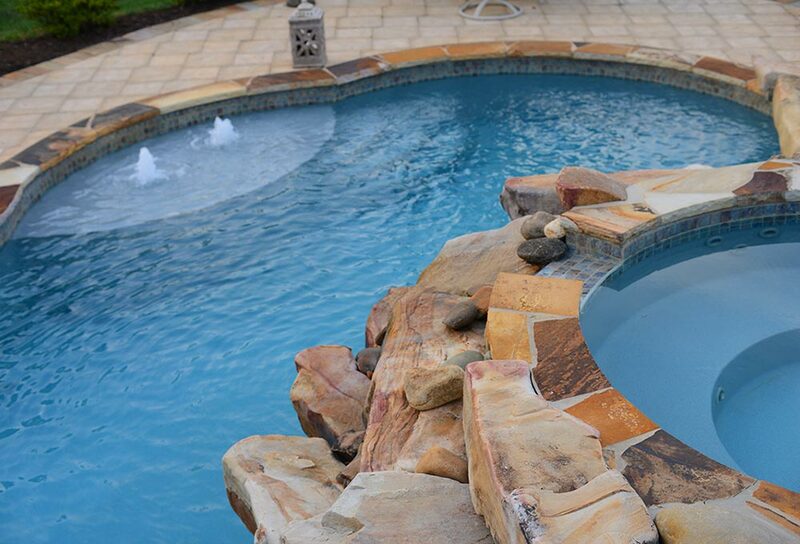 A cascading rock water feature or fountains that spring forth from your pool deck are a great way to enhance your pool. Some have even built a natural stone sliding rock that provides added fun for kids. 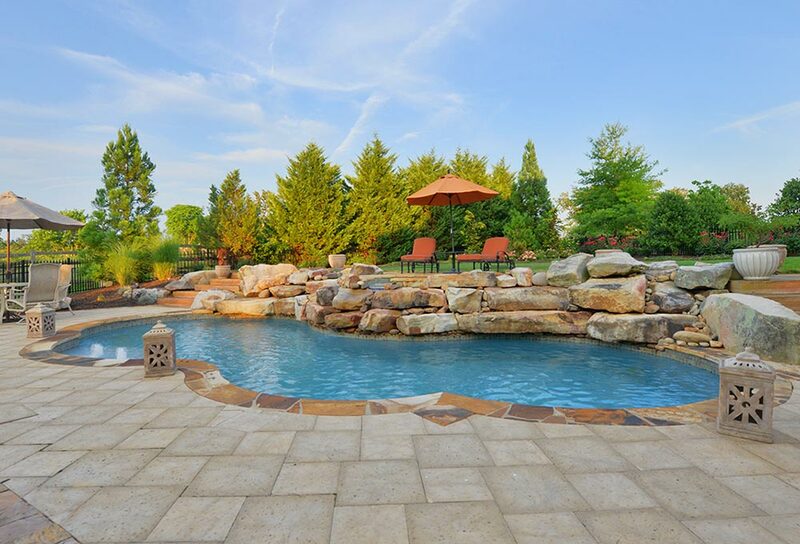 There are many pool coping options, including concrete pavers, brick pavers, poured concrete, sandstone, travertine, and other natural stones. Coping is the surface that immediately surrounds the pool edge. 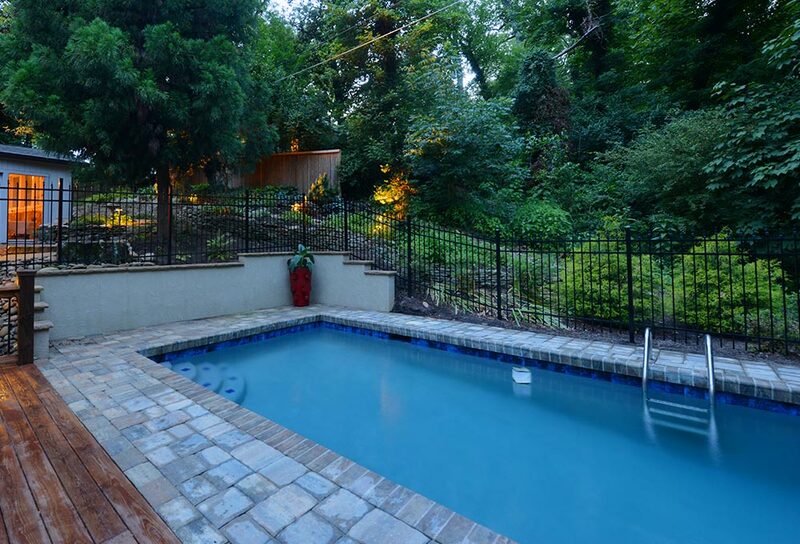 A traditional white plaster pool will reflect the sky and give off a classic, azure color. New, tinted plasters as well as pool surfaces impregnated with aggregates and glass are new ways to change or deepen the color of the water, from deep blues to lagoon greens. 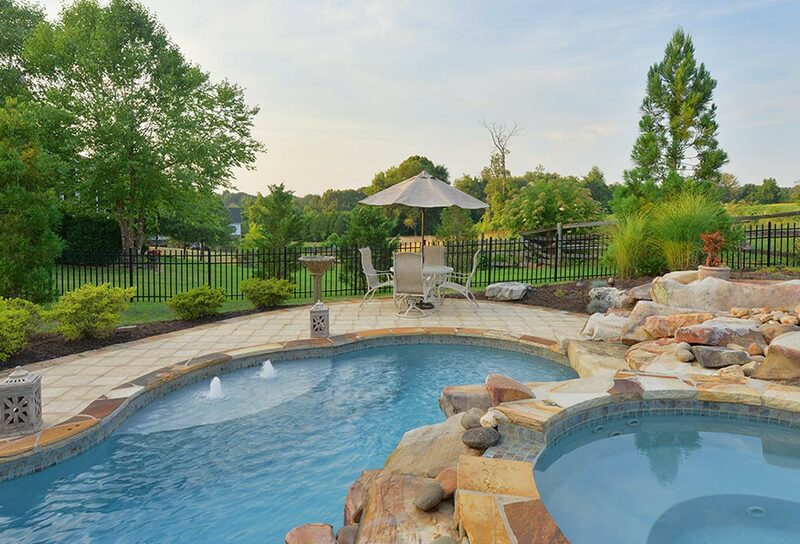 Pools decks can be any number of materials, including wood, stone, concrete, pavers, bricks, or even a natural turf surface. 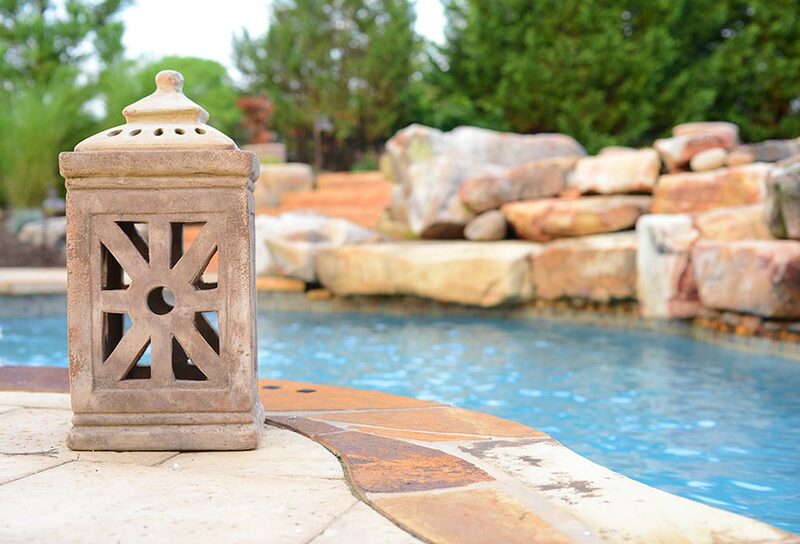 Our designers will help you choose the perfect pool deck surface that matches its surroundings. Hot tubs add to the overall pool experience, providing a warm place for bathers to relax. A hot tub can be a standalone unit, or can be integrated with the rest of the pool—even cascade into the pool water below!